My daily routine is being a corporate slave which i enjoyed very much. Confusing eh? Oh well, this job is making me stressed out and major headache but somehow i don’t mind because traveling is there for me. My first traveling experience when i’m still 5 months old, Jakarta to Manokwari – Papua. 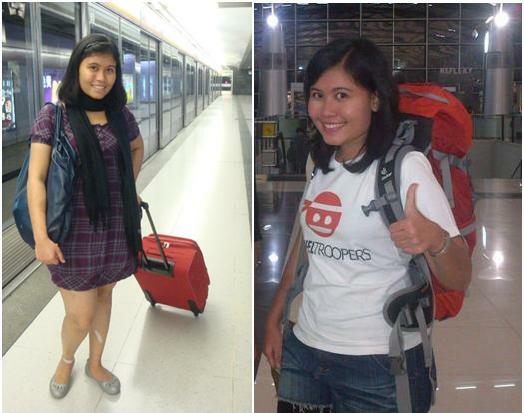 Since then i never stop dreaming to travel around the world, off the beaten path with my sweet red suitcase or my cheerful orange backpack. With no further ado, I hope (sincerely…believe me!) you’re enjoying my stories here!